While your application to MISB Bocconi consists of many parts, the importance of a strong reference cannot be overstated. But how do you choose just one person to speak to the many reasons why you’re a worthy candidate for admissions to the PGPB program? Let’s count down four questions to ask yourself when deciding on who to ask for your reference. Can He/She Speak to the “Whole Package”? The person writing your letter of reference must know you well, but that’s only part of the equation. 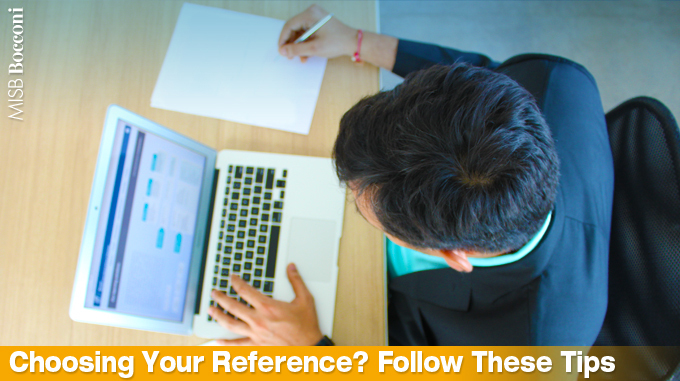 Your reference must also know you well in a way that speaks to your skills and abilities in a professional context. While a coach, former teacher, or academic advisor may be able to highlight certain aspects of your potential contribution to a b-school community, can they also speak to your potential as a productive member of the corporate workforce? While finding a person who can attest to your personal qualities, performance and potential is a tall order, doing so can mean the difference between a mediocre letter of recommendation and an extraordinary one. This is why so many students lay the groundwork for establishing references early in the process. Internships, jobs, and even teaching assistant experience can help you make reference-worthy connections. Is He/She an Advocate of Business School? Business school offers a number of different advantages, but not all successful business people understand the value of MBA (or, postgraduate business programs). This attitude can be informed by a number of different factors — from personal to professional. A person who doesn’t believe in business school — or who doesn’t believe in business school for you at this particular point in your career — may not be able to overcome this bias in order to accurately convey your strength as a candidate in their recommendation letter. Conversely, a reference who is in favour of your business school prospects is likely to portray your candidacy in a particularly compelling way. Before asking for a reference, take time to get a feel for the potential recommendation writer’s perspective whether b-school is a wise course of action. Does He/She Know You Now? The business world moves quickly. Choosing a reference who knew you four years ago not only overlooks the opportunity to showcase all of the skills, talents and accomplishments you’ve acquired in the interim but may also reflect poorly on you to admissions committee looking for candidates working to continually improve themselves. However, if you worked for or with someone in the past but have maintained meaningful contact with or continued to build your relationship since then, such a reference may be appropriate. Is He/She Your Biggest Fan? 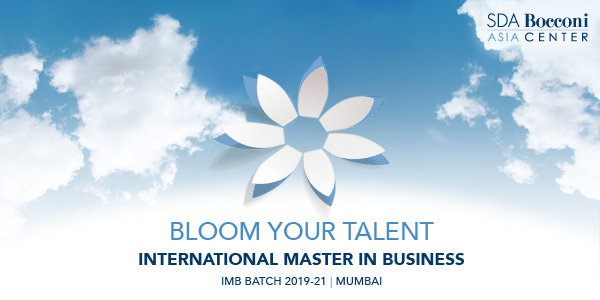 While “biggest fan” may be a hyperbole, the truth of the matter is that we are looking for the best and the brightest candidates here at MISB Bocconi. Your reference should be more than positive; he/she should also truly value your capabilities and be an enthusiastic supporter of your candidacy. Ultimately, there’s no pre-set formula for choosing a reference. However, keeping these four things in mind can help you find the person who can best showcase your strengths while enhancing your comprehensive profile as a competitive candidate and future contributing member of the PGPB community at MISB. We look forward to receiving your application and getting to know you better! How to prepare for the Bocconi Test? 9th Floor, Hiranandani Knowledge Park (Opposite Hiranandani Hospital), Powai, Mumbai.